Low vision is a condition that involves a minimal ability to see (particularly central vision) that is unresolved or uncorrected with traditional eyeglasses, contact lens, intraocular lens implants, or corrective surgery. 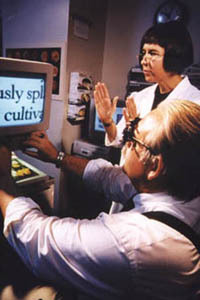 However, in some cases, people with low vision may be aided with special visual devices. 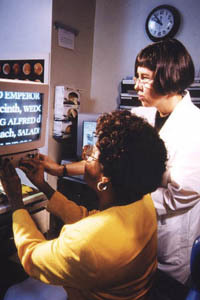 What are the different types of low vision? Because low vision cannot be improved by more traditional methods (such as, the use of eyeglasses or contact lenses) people with low vision often rely on the use of a number of different instruments, called low-vision devices, and tailored equipment for improved vision. Low-vision devices, categorized as either optical or nonoptical, help to improve visual ability for millions of people every day. What are optical low-vision devices? What are nonoptical, low-vision devices?